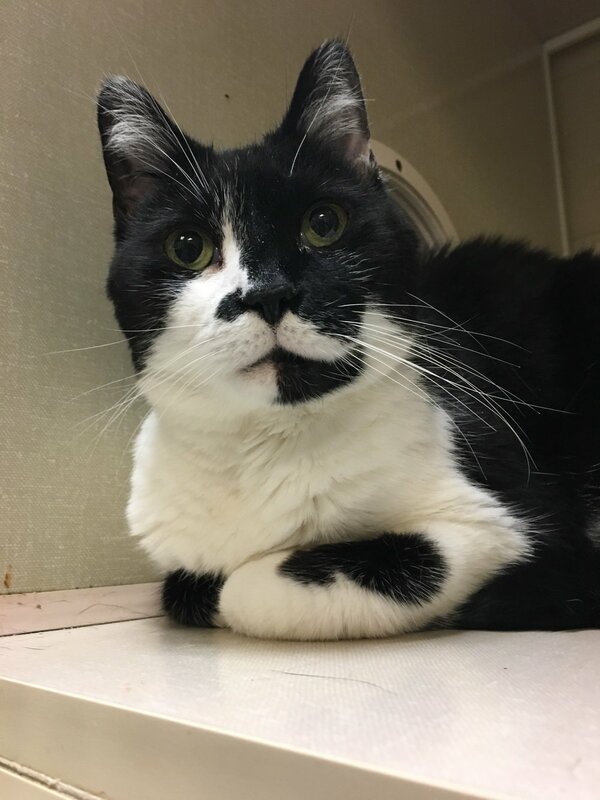 Touche was displaced from his home as an older gentlemen, and would love to start over with you! Come and meet this very unusually marked sweet boy, and you'll find that he'd be the perfect addition to any family. Touche is fully vaccinated, micro-chipped neutered and ready to go home!